OSCILLATE THINE UPPER LIMBS, ALTERNATING BETWEEN THE LEFTMOST AND RIGHTMOST POSITIONS. 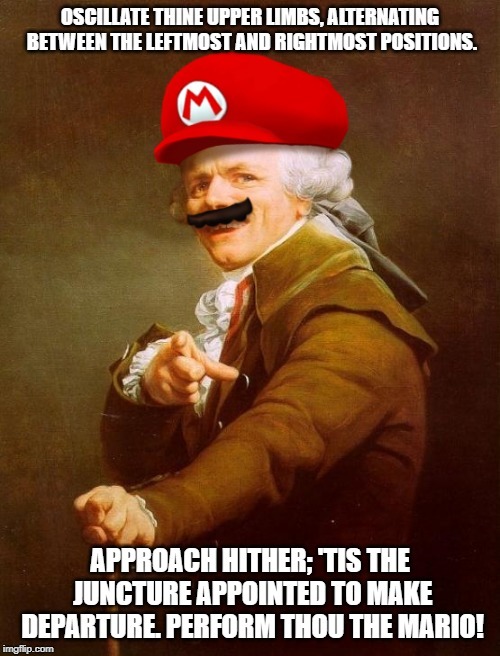 APPROACH HITHER; 'TIS THE JUNCTURE APPOINTED TO MAKE DEPARTURE. 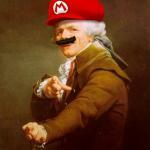 PERFORM THOU THE MARIO!